Ciclicorsa.com guarantees the best prices on the web, but in case you've found this item at a better price elsewhere, just fill in the form below and we'll do our best to match the price. Veloflex Corsa 28 is all-purpose open tubular that will give you more than you can expect from a clincher tyre. 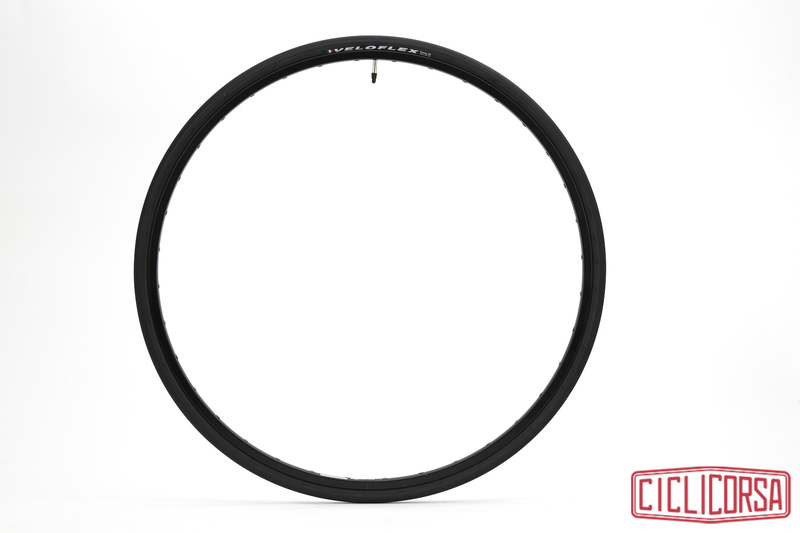 The Corsa 28 weighs 235gr and is made with tubular 320 TPI (Thread Per Inch) casing to offer low rolling resistance and greater flexibility. 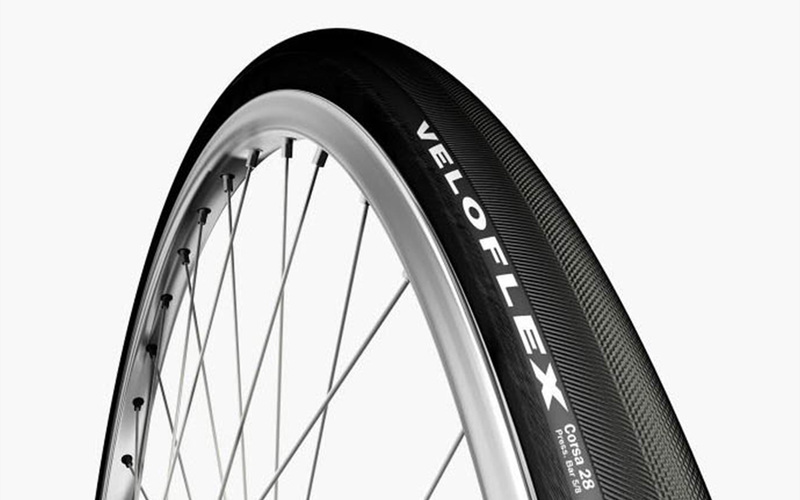 Built with the same 320 TPI casing of our tubular tyres for low rolling resistance and incredibly supple ride feelings. Suited for training and racing for everyone that wants the excellent characteristics of a tubular and the easiness of mounting of a clincher tyre. The special tread will grant outstanding grip and cornering stability in all weather conditions. Corsa models come with black coloured sidewalls for a more aggressive look and four colours of choice for the rubber tread. All “Veloflex“ products are available in pre-order. Delivery time is confirmed with every order and indicated on each product page. If products require longer delivery times it will be indicated in the order and is based on the information provided to us by Veloflex. All Veloflex products are stocked in our warehouse and ready to be dispatched within 1-2 working days. 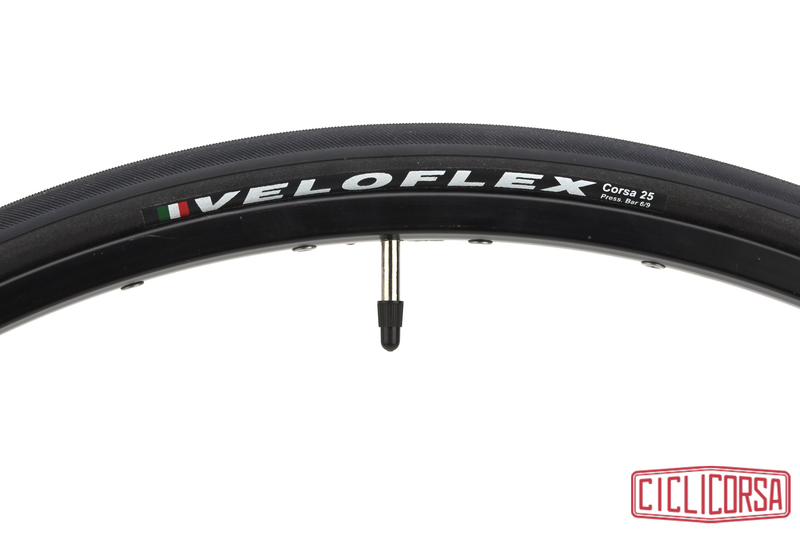 However, please note that availability may vary during the year because Veloflex tubulars and clinchers are handmade in Italy, one piece at a time, on occasion the production cannot keep up with demand. Taking this into consideration, we plan our orders in advance so as to ensure our customer the fastest delivery possible. To help us plan orders, please send an enquiry to let us know what model/s you’re interested in. It is possible to pre-order all items in our catalog that are currently out-of-stock. Delivery times automatically displayed on out-of-stock items by our online shop may differ slightly based on the articles selected and the information provided to Ciclicorsa.com at that time by suppliers. Ciclicorsa.com offers a free return policy within 15 days of receiving the item. All products must be returned in the original packaging and with original labels. Items cannot be worn or used before returning. Any items that are returned without original packaging or labels, or is not in original condition will not be accepted. Shipping on exchanged items is free of charge. Every product sold by Ciclicorsa.com is covered by the manufacturer's warranty. Shipping times do not include possible delays due to customs. We offer several shipping services available, with different rates and delivery times. During check-out you may select your preferred method of shipment. Every shipment is fully covered by insurance (free of charge) against lost or damaged items. A tracking number will be provided with each shipment. 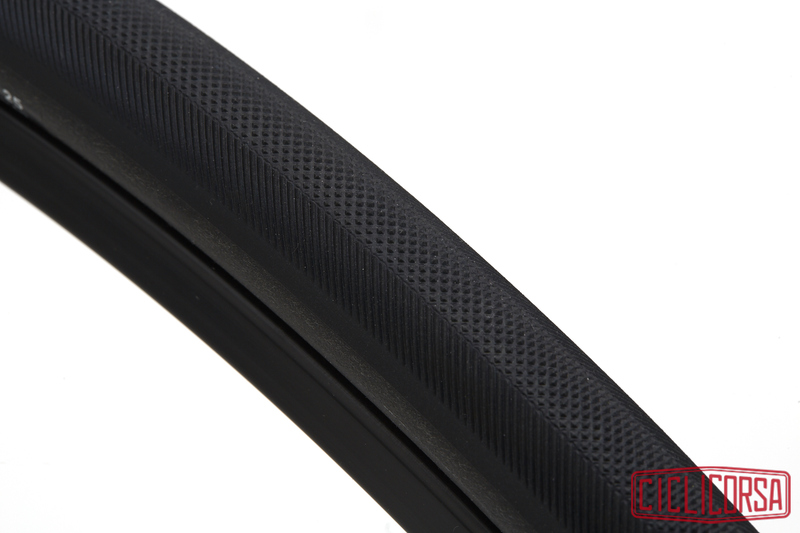 A legendary handlebar tape, anti-slip and shock absorbing.